Not to be confused with Final Fantasy XII. Final Fantasy X-2[a] is a role-playing video game developed and published by Square for the PlayStation 2, as the direct sequel to Final Fantasy X. The game's story follows the character Yuna from Final Fantasy X as she seeks to resolve political conflicts in the fictional world of Spira before they lead to war and to search for her lost love Tidus from Final Fantasy X. Final Fantasy X-2 set several precedents in the Final Fantasy series aside from being the first direct sequel in video game form and the second sequel in the franchise, after the anime Final Fantasy: Legend of the Crystals. It was the first game in the series to feature only three player characters, an all-female main cast, and early access to most of the game's locations. Additionally, it featured a variation of the character classes system—one of the series' classic gameplay concepts—and is one of the few games in the series to feature multiple endings. Finally, it was the first game in the series that did not have musical contributions in it from longtime composer Nobuo Uematsu. The game was positively received by critics and was commercially successful. It sold over 5.4 million copies worldwide on PlayStation 2. Final Fantasy X-2 was voted as the 32nd best game of all time by the readers of Famitsu. The English version of the game won an award for "Outstanding Achievement in Character Performance" at the Academy of Interactive Arts & Sciences in 2004. The game has attained a rating of 86% on GameRankings and an 85% rating on Metacritic. It was the final Final Fantasy game to be developed by Square before merging with Enix in April 2003. The game was re-released as a high-definition remaster for the PlayStation 3 and PlayStation Vita in 2013, together with Final Fantasy X, under the title Final Fantasy X/X-2 HD Remaster. It was also re-released for the PlayStation 4 in May 2015, Microsoft Windows in May 2016, and will be released on the Nintendo Switch and Xbox One in 2019. Square Enix announced in 2013 that the Final Fantasy X series has sold over 14 million copies worldwide. Though a direct sequel to Final Fantasy X, Final Fantasy X-2 does not duplicate its predecessor's gameplay; instead, it innovates on traditional elements. Like pre-Final Fantasy X installments, characters "level up" after a certain number of battles, by gaining pre-determined stat bonuses. The conditional turn-based battle system in Final Fantasy X has been replaced by a faster-paced variation of the Final Fantasy series' traditional active time battle (ATB) system, which was originally designed by Hiroyuki Ito and first featured in Final Fantasy IV. Whenever a random enemy is encountered, the ATB system is used. Under this enhanced version of the ATB, playable characters may interrupt an enemy while they are preparing to take action, instead of waiting for an enemy's turn to finish before attacking. Furthermore, it is possible for both characters and enemies to chain attacks together for greater damage. Another departure from the gameplay of Final Fantasy X is in its world navigation system: players can visit almost every location in Spira from early in the game, transported via the airship Celsius. This is a deviation from the overall Final Fantasy series, where the most efficient means of transportation is typically not obtained until late in the game. These two changes allow players to choose a less linear storyline. Unlike Final Fantasy X, in which a player's course through the game's world was largely straightforward, Final Fantasy X-2 is almost entirely free form. The game consists of five chapters, with each location featuring one scenario per chapter. Put together, the five scenarios in one locale form a subplot of the game, called an "Episode". Only a few scenarios per chapter are integral to the game's central plot, and are marked on the world navigation system as "Hotspots" ("Active Links" in the Japanese version). By accessing only Hotspots, a player can quickly proceed through the game's story without participating in sidequests. The game keeps track of the player's completed percentage of the storyline, increased by viewing the scenarios comprising each Episode. If 100% of the game is completed, an additional ending will be unlocked. The game features a fork in its plot, allowing the player to make a choice that changes what scenes they see and the number of percentage points they acquire afterward. It is impossible to see all of the game's content on a single playthrough, due to this fork in the storyline, although it is possible to achieve 100% storyline completion in a single playthrough. However, a 100% storyline completion can only be achieved through one of the two possible storylines. When the game is completed for the first time, it unlocks a New Game Plus option that allows the player to restart the game with all of the items, Garment Grids, dresspheres and storyline completion percentage achieved previously. However, all character levels are set back to one. The field-map navigation system is largely unchanged from Final Fantasy X; it is still dominantly three dimensional with mostly continuous locations. A few upgrades have been implemented, providing the player with extended interaction with the environment through jumping, climbing and rotating camera angles. The game's sidequests include minor tasks and quests, optional bosses and dungeons, and the most minigames of any Final Fantasy at the time of its release. These minigames include Gunner's Gauntlet (a third-person/first-person shooter game) and Sphere Break (a mathematical coin game involving addition and multiplication), as well as the fictional underwater sport blitzball originally featured in Final Fantasy X with a different control scheme. Director Motomu Toriyama has explained that one of the concepts at issue during development was providing a large variety of minigames, such that "if you bought Final Fantasy X-2 you wouldn't need any other game". Final Fantasy X-2 reintroduces the series' classic character class system (seen previously in Final Fantasy III, Final Fantasy V and Final Fantasy Tactics) through the inclusion of dresspheres. Because the party never grows beyond three characters, switching characters during battle is unnecessary. Instead, the player can switch character classes, providing access to different abilities. The playable characters are allowed to equip one dressphere at a time, each providing different battle functions and abilities. Characters can learn new skills for each dressphere with the use of Ability Points (AP). AP is obtained by defeating enemies and by the use of items and abilities for that sphere. Abilities to be learned are chosen in the main menu. During battle, AP is given to that ability until it is learned. Each character can access as many as six dresspheres at a time, depending on the specific properties of the Garment Grid they are wearing. The Garment Grid is a placard featuring a geometric shape connected by nodes. These nodes are slots that can be filled with dresspheres, allowing characters to change character classes during their turn in battle. Most Garment Grids possess Gates that when passed through grant the user a complimentary buff. As with equipped items, Garment Grids often provide characters with a variety of enhancements and extra abilities. The game features diverse Garment Grids and dresspheres which can be discovered as the game progresses. While normal dresspheres can be used by all three playable characters, each character can acquire a dressphere that only they can use. These dresspheres can only be activated after a character has changed into all of the classes designated to her Garment Grid in a single battle. When a character activates one of these dresspheres, the other characters are replaced by two controllable support units. Like the preceding game, Final Fantasy X-2 is set in the fictional world of Spira, consisting of one large landmass divided into three subcontinents, surrounded by small tropical islands. It features diverse climates, ranging from the tropical Besaid and Kilika islands, to the temperate Mi'ihen region, to the frigid Macalania and Mt. Gagazet areas. Although predominantly populated by humans, Spira features a variety of races. Among them are the Al Bhed, a technologically advanced but previously disenfranchised sub-group of humans with distinctive green eyes and unique language. The Guado are less human in appearance, with elongated fingers and other arboreal features. Still less human are the lion-like Ronso and the frog-like Hypello. A subset of Spira's sentient races are the "unsent", the strong-willed spirits of the dead that remain in corporeal form. In Spira, the dead who are not sent to the Farplane by a summoner come to envy the living and transform into "fiends", the monsters that are encountered throughout the game; however, unsent with strong attachments to the world of the living may retain their human form. While the setting of the original Final Fantasy X was decidedly somber, in Final Fantasy X-2, the main characters were fitted with a jovial Charlie's Angels-like motif. Whereas Final Fantasy X drew heavily on ancient Japanese culture and Asian settings, Final Fantasy X-2 incorporated a number of elements from modern Japanese pop culture. Aesthetically, the world of Spira is essentially unchanged in the two years since Final Fantasy X, and many locations return from the game. There are, however, major changes in the ideology of Spira's people. After Sin's defeat came the arrival of an era known as "the Eternal Calm". The priests of the Yevon religion chose to expose the truth about the order, leaving the population to decide for themselves how to live in a world without that religion and without Sin. Advanced technology and the Al Bhed are now embraced by the population as a whole, which has begun to pursue leisures such as attending musical concerts and participating in the sport of blitzball. Others have become hunters of ancient treasures, ranging from coins and machinery to spheres in forgotten caves and ruins. Those who pursue the latter are known as "sphere hunters", of which many groups have formed. In the absence of Yevon, new groups have formed. Young people were especially quick to abandon Yevon and embrace machinery, while many of the older generation felt that cultural changes were happening too quickly. The most influential of the new groups are the progressive Youth League, led by Mevyn Nooj and seeking a break from the past, the New Yevon Party, led by a former priest named "Trema" until his disappearance and later by Praetor Baralai, which seeks more gradual change, and the neutral Machina League, led by Gippal. By the start of the game, there are rising tensions between the Youth League and New Yevon factions. Both groups have sought out High Summoner Yuna's support, who has instead joined a sphere hunter group with her cousin in hopes of finding a way to bring back Tidus, her lost love who vanished during the ending of Final Fantasy X. 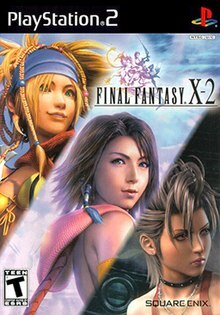 The three main playable characters of Final Fantasy X-2 are Yuna, Rikku and Paine, whose team is abbreviated in-game as "YRP" ("YuRiPa" in the original Japanese version). Yuna and Rikku reprise their roles from Final Fantasy X, and, though their personalities are much the same as before, Square decided that their appearances would be heavily altered to give a greater impression of activity. Furthermore, it was decided that the pervading cultural changes occurring in Final Fantasy X's world as they and others began trying to live positively would be reflected in the new clothing of these two characters. The character of Paine is a new creation designed for inclusion in Final Fantasy X-2, to accommodate the game's intended action-adventure style revolving around a trio of female characters. Her personality is far more cynical and emotionally distant than that of her teammates, and she keeps her past a secret from them for much of the game. Several other major and supporting characters from Final Fantasy X appear in the game. Additionally, other new characters are introduced in Final Fantasy X-2, such as the faction leaders and the Leblanc Syndicate, a group of sphere hunters who serve as the Gullwings' rivals for much of the game. The game's main antagonist is Shuyin, another new character. Two years after Sin's defeat, Yuna, Rikku and Paine recover Yuna's stolen Garment Grid from the Leblanc Syndicate in the first of several encounters in which they vie for spheres. The game is punctuated by a narration of Yuna addressing Tidus, as though she is recounting the events of the game to him as they occur. Meanwhile, the Gullwings discover an ancient sphere containing images of an enormous machina weapon called "Vegnagun" that was secretly buried beneath Bevelle. The weapon has enough power to threaten all of Spira, The Gullwings then join forces with the Leblanc Syndicate to investigate the underground areas of the city in an attempt to destroy the machine before it can be used by either side in the upcoming conflict. However, discovering a large tunnel recently dug into the floor of the weapon's chamber, they realize that Vegnagun has apparently moved to the Farplane, located at Spira's core. Disagreements between Spira's factions are soon punctuated further after the disappearance of Baralai, Nooj, and Gippal—the leaders of New Yevon, the Youth League and the Machine Faction respectively. Returning to the underground areas of Bevelle, the Gullwings discover the missing faction leaders discussing Vegnagun and learn that the machine's AI allows it to detect hostility and to respond by activating itself and fleeing. The player then learns that Paine had once been friends with all three men. Two years earlier in a cave beneath Mushroom Rock Road called "the Den of Woe," just before the failed Operation Mi'ihen, the squad's final exercise was conducted. Within the cave, the various squad candidates were swarmed by pyreflies and driven to kill one another. The only survivors were Paine, Baralai, Gippal, and Nooj. Before the four survivors could leave the cave, the spirit of Shuyin—requiring a host in order to interact with the world physically—had possessed Nooj, and later forced him to shoot his comrades. Shuyin possesses Baralai's body, pursuing Vegnagun to the Farplane. Nooj and Gippal follow in pursuit, asking Yuna to keep things under control on the surface. Yuna falls into the Farplane and meets Shuyin, who mistakes her for a woman named "Lenne". Shuyin expresses his anger that Spira's citizens have not yet come to understand the heartache that war can cause, and plans to use Vegnagun to destroy all of Spira. The player learns that 1000 years before the game, Shuyin was a famous blitzball player in the high-tech metropolis of Zanarkand, and the lover of a popular songstress and summoner—Lenne. Before he could use Vegnagun, Lenne begged him to stop. Shuyin yielded, but a group of Bevelle soldiers arrived a moment later and shot the couple. The Gullwings organize a concert to which everyone in Spira is invited, supporters of the Youth League and New Yevon alike. Additionally, the Songstress dressphere worn by Yuna is revealed to hold Lenne's memories, resulting in a sphere screen projecting them to everyone in attendance during the concert. Witnessing images of Shuyin and Lenne's last moments, Spira's citizens begin to understand the unproductive nature of their disagreements. Although the factional fighting has ceased, Shuyin has nearly carried out his plan to destroy Spira with Vegnagun. Joining forces with the Leblanc Syndicate once again, the Gullwings make their way to the Farplane and find Gippal and Nooj already battling Vegnagun. Subsequently, the fayth once located in Bevelle appears before Yuna and thanks her as well. He then asks her if she would like to see "him" again. If the player replies with "Yes", and a sufficient percentage of the game's optional storyline has been completed, the fayth locates Tidus's scattered pyreflies and sends them to Besaid, where they reform; thus, when Yuna returns home, she is reunited with Tidus. Players who achieve 100% completion in addition to reviving Tidus will see an additional reunion scene in Zanarkand where the pair discuss whether he is truly real or still a dream. Development of Final Fantasy X-2 began in late 2001 in response to the success of Final Fantasy X, particularly fan reaction to the Eternal Calm video included in the Japanese version of Final Fantasy X International. It was released in Japan shortly before the merger between Square and Enix. The game's eventual name, X-2, was initially not liked by the production team, but it was eventually accepted since the story was a direct continuation of X and thus could not be the next numbered title in the series. Kazushige Nojima, the previous game's writer, was also skeptical about the creation of a sequel. Something he was particularly averse to originally was the happy ending, which he felt was wrong for the story. The production team was one third the size of the previous installment. This was because the team was already familiar with the material and it allowed them to give a hand-crafted feel to the game. In designing the game, a significant number of character models, enemies, and location designs from Final Fantasy X were reused. Character designer Tetsuya Nomura has explained that this allowed the game to be developed in one year and at half the normal scope Final Fantasy titles are normally produced. Maya and Softimage 3D were the two main programs used to create the graphics. Producer Yoshinori Kitase and director Motomu Toriyama have explained that the objective in mind when designing Final Fantasy X-2 was to embrace the concept of change as the game's theme and establish a more upbeat atmosphere than its predecessor. The reuse of the engine and locations from the original game meant that the team could spend most of their time focusing on the gameplay systems and plot. To portray the drastic change in Spira, the developers excluded summons, redesigned towns, and included vehicles. The low-flying vehicles were added to allow the player quicker access and mobility to the areas that were already available in the previous title. The ending of Final Fantasy X meant that the Aeon summoning system from the game could not be used in the sequel, necessitating the team to make a new gameplay system. Because of the emphasis on a more optimistic setting, the game's dressphere system (inspired by the magical girl subgenre of anime and manga) was implemented, and the atmosphere of J-pop introduced right from the game's opening sequence. Additional allusions to popular culture in general were featured, such as the style of Charlie's Angels. The dressphere system, along with having a lead cast of three non-"macho" girls were intended to keep the tone of the game light and lively. Lulu was excluded from the lead cast because, in addition to being married, her presence would have given her an "older sister" role to Yuna, rather than letting Yuna take the lead on discovering herself on her own. Though work on the opening song and motion capture began early in development, the opening sequence was actually the last portion of the game to be completed. For Final Fantasy X-2, regular series composer Nobuo Uematsu was replaced by Noriko Matsueda and Takahito Eguchi of The Bouncer fame. Among the game's more notable tracks are two vocalized songs: the J-pop-style "Real Emotion" and a more slowly-paced ballad, "1000 Words". The Japanese versions of the songs are sung by Kumi Koda, a Japanese music artist who also performed motion capture for the "Real Emotion" opening full motion video and provided the voice of Lenne in the Japanese version of the game. The English versions of the songs are sung by Jade Villalon of Sweetbox. She released extended versions of the songs she sang as bonus tracks on the Japanese release of her album, Adagio. Koda also released her own English versions of the songs on her CD single Come with Me. While similar, the lyrics of Koda Kumi's versions differ from those sung by Jade Villalon. As with Final Fantasy X, an expanded international version was produced for Final Fantasy X-2. This version of the game, titled Final Fantasy X-2 International + Last Mission, introduces two new dresspheres, an additional "Last Mission" at a location called "Yadonoki Tower," and the option to capture numerous monsters and characters including Tidus, Auron and Seymour from Final Fantasy X—as well as several supporting characters from both games—during battle. This version was never released outside Japan, although the English voices were used for the main story in the International version (not in the Last Mission). Due to this change, parts of the Japanese subtitles were changed or altered to fit the voice-overs. This was detailed in the official strategy book for the International version (see below). In 2005, a compilation featuring Final Fantasy X and Final Fantasy X-2 was released in Japan under the title Final Fantasy X/X-2 Ultimate Box. Several action figures, books and soundtracks were released by Square Enix. Among the books that were published were three Ultimania guidebooks, a series of artbooks/strategy guides published by Square Enix in Japan. They feature original artwork from Final Fantasy X-2, offer gameplay walkthroughs, expand upon many aspects of the game's storyline, and feature several interviews with the game's developers. There are three books in the series: Final Fantasy X-2 Ultimania, Final Fantasy X-2 Ultimania Ω, and Final Fantasy X-2: International+Last Mission Ultimania. A similar three-book series was produced for Final Fantasy X.
Gaming peripheral company Hori produced PlayStation 2 controllers modeled after the Tiny Bee guns Yuna uses in Final Fantasy X-2. These controllers were released only in Japan. They were re-released in a new silver box to coincide with the release of Final Fantasy X-2: International+Last Mission. They also released a vertical stand for the console with a Final Fantasy X-2 logo that lights up in blue color when plugged into a powered console. On September 13, 2011, Square Enix announced that Final Fantasy X would be re-released in high-definition for the PlayStation 3 and PlayStation Vita, in celebration of the game's 10 year anniversary. Yet rumors spread that it would also include its sequel Final Fantasy X-2  In January 2012, production of the game had started. Producer Yoshinori Kitase will once again be involved in the production of the game, wishing to work on its quality, yet again no confirmation yet of the inclusion of the sequel. On February 18, 2013 the first footage of the PlayStation Vita version of Final Fantasy X HD was released, showing off HD models of Tidus, Yuna, Bahamut and Yojimbo. On 19 March, it was confirmed that the PS3 version of the game would also include its sequel X-2, and that it would also be remastered in HD and would be based on the International version. Final Fantasy X-2 Last Mission was later announced to be remastered in HD and included as well. The HD remastered games for the PS3 was released under the title Final Fantasy X/X-2 HD Remaster. The two games were sold separately on PlayStation Vita in Japan with Final Fantasy X HD Remaster to include Final Fantasy X HD Remaster and Final Fantasy X Eternal Calm HD Remaster and Final Fantasy X-2 HD Remaster to include Final Fantasy X-2 HD Remaster and Final Fantasy X-2 Last Mission HD Remaster. They were sold together with a voucher to download Final Fantasy X-2 HD Remaster for free in regions outside Japan as well as in Japan. Square Enix launched an official website for the two HD remastered titles in March 2013. In 2014, it was announced that the remaster would be released for the PlayStation 4 in Spring 2015. It was later released for Windows in May 2016. Final Fantasy X-2 sold over 1.94 million copies in Japan in 2003 as the highest-selling game of the year. Within nine months of its Japanese release, it sold more than a million copies in North America (within two months of its release there), and nearly four million copies worldwide. It went on to sell 2.11 million units in Japan, 1.85 million units in the United States, and more than 100,000 units in the United Kingdom. International + Last Mission sold over 288,000 copies in Japan over the course of 2004. As of March 2013, the game has sold over 5.4 million copies worldwide on PS2. In October 2013, Square Enix announced Final Fantasy X and its sequel Final Fantasy X-2 have together sold over 14 million copies worldwide on PlayStation 2. It was voted as the 32nd best game of all time by readers of the Japanese video game magazine Famitsu, which also gave it a 34 out of 40. The English release of Final Fantasy X-2 won the Seventh Annual Academy of Interactive Arts & Sciences award in 2004 for "Outstanding Achievement in Character Performance" in recognition of the character Rikku. Multimedia website IGN felt that the game's shift in tone is "part of what makes [it] so intriguing," labeling the storyline "a deep political drama" that "always manages to keep from taking things too seriously." They also commented that the game "treats its history with intelligence" and "its returning characters...just as clever". Further positive reaction came from RPGamer, with one staff reviewer summarizing X-2 as "a light-hearted fun game" that "may ... be the most enjoyable thing to come from the series in several years", while another regarded its battle system as innovative and "very simple to navigate". The game's stylistic changes from past Final Fantasy titles sparked negative comments, with some perceiving it as a change in the spirit of the franchise. Among these were the game's status as Final Fantasy's first direct sequel and the change from a tragic atmosphere in Final Fantasy X to a dominantly lighthearted tone in Final Fantasy X-2. In their review, gaming website GameSpot commented that "Some of the missions ... come off as downright silly and a bit tacked on". Additionally, they felt that the game's non-linear style makes it "[lack] the singular narrative thrust of Final Fantasy X or other typical RPGs, and the storyline can feel a little nebulous and disjointed as a result". Moreover, GameSpot commented that "trivial minigames have been creeping into the Final Fantasy games at an alarming rate over the last few years, and in this regard, X-2 is definitely the most egregious offender in the series". 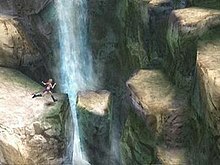 Despite these comments, they praised the battle system as a "welcome addition", while regarding its voice-overs and localizations as "outstanding". Another aspect of the game that has attracted criticism is the reuse of graphical designs from Final Fantasy X. One reviewer at RPGamer commented that "there is little question that the graphics in Final Fantasy X-2 could rival just about any other RPG on the market ... [but] one does not get ... [the impression] that the graphics have been improved in any significant way since Final Fantasy X", while GameSpot said "X-2 doesn't look that much better than X did two years ago". Electronic Gaming Monthly regarded this reuse of code as "[tripping up] in the one area where Final Fantasy titles usually shine". The game's soundtrack was met with mixed feelings, because Final Fantasy X-2's score was the first in the series without input from Nobuo Uematsu, composer of all previous games in the main series, and because of the change to a distinct J-pop atmosphere. While IGN commented that the music provided an "appropriately fitting backdrop" and 1UP.com suggested that it "certainly is in keeping with the new flavor", others, such as Electronic Gaming Monthly, regarded it as "too bubbly." One staff member at RPGamer suggested that "the absence of Uematsu proves deafening," and "the soundtrack that accompanies this nonsensical adventure manages to encapsulate the shallow nature of the game perfectly." Moreover, some reviewers felt that the outfits worn by the main characters are too revealing and aimed at making the game more appealing to Final Fantasy's largely male audience. Despite the negative comments it has received, Final Fantasy X-2's critical reception has been largely positive, with IGN summarizing it as "a brilliant and addictive romp through Spira that we're certainly glad to experience", and GameSpot commenting that it is "every bit as poignant, endearing, and engrossing as its forebears," with strengths that "ultimately make ... X-2's minor flaws forgivable". The game maintains an 85/100 approval rating on Metacritic. ^ Japanese: ファイナルファンタジーX-2, Hepburn: Fainaru Fantajī Ten Tsū? ^ a b Luke Karmali (11 December 2014). "Yes, Final Fantasy X / X-2 HD coming to PlayStation 4,". IGN.com. Retrieved 2014-12-11. ^ a b "Final Fantasy X sales in October 2013". Square Enix Japan. October 10, 2013. ^ a b c d e f g h Shoemaker, Brad (2003). "Final Fantasy X-2 for PlayStation 2 Review". GameSpot. Archived from the original on 2003-12-04. Retrieved 2006-07-30. ^ a b c d e f g h Dunham, Jeremy (2003). "Final Fantasy X-2 Developer Interview". IGN. Archived from the original on 2012-08-10. Retrieved 2006-07-16. ^ Square Co (December 20, 2001). Final Fantasy X. PlayStation 2. Square EA. Rikku: We're Al Bhed. Can't you tell? Wait, you're not an Al Bhed-hater, are you? / Tidus: I don't even know what an Al Bhed is. / Rikku: Where are you from? / Tidus: Zanarkand. I'm a blitzball player. Star player of the Zanarkand Abes! / Rikku: Did you...hit your head or something? / Tidus: Um, you guys hit me. / Rikku: Oh, right... Do you remember anything before that? / Tidus [voiceover]: So I told her everything there was to tell about Zanarkand; about life there, blitzball, and Sin's attack...and about how Auron and I were engulfed in this light. ^ Square Co (December 20, 2001). Final Fantasy X. PlayStation 2. Square EA. Level/area: Macalania. Wakka: But you Al Bhed use the forbidden machina! You know what that means? Sin was born because people used machina! ^ Square Co (December 20, 2001). Final Fantasy X. PlayStation 2. Square EA. Level/area: Kilika. Tidus: What's a "sending"? Are we going somewhere? / Lulu: You truly are clueless. Are you sure it's just your memory that's the problem? ... The dead need guidance. Filled with grief over their own death, they refuse to face their fate. They yearn to live on, and resent those still alive. You see, they envy the living. And in time, that envy turns to anger, even hate. Should these souls remain in Spira, they become fiends that prey on the living. Sad, isn't it? The sending takes them to the Farplane, where they may rest in peace. ^ "Behind The Game The Creators". Square Enix North America. 2001. Archived from the original on 2009-04-10. Retrieved 2006-04-12. ^ Studio BentStuff, ed. (2004). Final Fantasy X-2: International+Last Mission Ultimania (in Japanese). DigiCube/Square Enix. p. 583. ISBN 4-7575-1163-9. ^ Square Co (2003-11-18). Final Fantasy X-2. PlayStation 2. Square Enix U.S.A. Yuna: It all began when I saw this sphere of you. ^ Square Co (2003-11-18). Final Fantasy X-2. PlayStation 2. Square Enix U.S.A. Nooj: Some advice: That...thing... The colossus you saw is known as Vegnagun. It possesses overwhelming destructive power. It must not be touched! ^ Square Co (2003-11-18). Final Fantasy X-2. PlayStation 2. Square Enix U.S.A. Baralai: I know why you've come. You're here to destroy the weapon that threatens all of Spira: Vegnagun. ^ Square Co (2003-11-18). Final Fantasy X-2. PlayStation 2. Square Enix U.S.A. Baralai: The thing's more sensitive than its size would lead one to believe. It detects hostility, and in an instant, springs to life! Should one even think of harming it, it awakens like a frightened child. ^ Studio BentStuff, ed. (2003). Final Fantasy X-2 Ultimania Ω (in Japanese). Square Enix. p. 87. ISBN 4-7575-1161-2. ^ Square Co (2003-11-18). Final Fantasy X-2. PlayStation 2. Square Enix U.S.A. Paine: It was Shuyin. Two years ago, the guys encountered Shuyin's memories and learned of Vegnagun. After we escaped, they said they would uncover the truth behind it. But then...Nooj shot us. We thought he'd betrayed us. But Nooj wasn't Nooj. I understand now: Shuyin was using him the whole time. ^ Square Co (2003-11-18). Final Fantasy X-2. PlayStation 2. Square Enix U.S.A. Fayth: Yuna. I'm sorry. We weren't strong enough to stop him. We wanted to at least warn someone... but instead, we were dragged into the darkness. We're no better than fiends. ^ Square Co (2003-11-18). Final Fantasy X-2. PlayStation 2. Square Enix U.S.A. Shuyin: Lenne. We disappeared together, but when I awoke, I was alone. I looked for you for so long. While I wandered, I realized something: Spira hasn't really changed at all. Everyone's still fighting over nothing. Still dying like they used to. A thousand years have passed, and they can't leave the hatred behind. I'm through waiting. I'll fix it. This world continues to fail us, and what's worse, I failed to protect you. Vegnagun will make that all go away. And we'll fade together again, together. Help me do it, Lenne. ^ Square Co (2003-11-18). Final Fantasy X-2. PlayStation 2. Square Enix U.S.A. Paine: The man she loved, he struggled to save her. He fought till his very last breath for her. I think that Lenne's final words might have been happy ones: "I love you." [...] / Yuna: But wait... Everything is all wrong. He never heard. The one person she wanted to tell...he never heard her words. ^ Square Co. (2003-11-18). Final Fantasy X-2. PlayStation 2. Square Enix U.S.A. Buddy: Lenne, huh? / Shinra: Yeah, the girl from the Songstress dressphere. [...] / Rikku: So, the reason Shuyin keeps calling Yuna "Lenne" is— / Paine: Because of that dressphere? ^ Square Co (2003-11-18). Final Fantasy X-2. PlayStation 2. Square Enix U.S.A. Tidus: I got a theory. I think the fayth gathered up my thoughts and put 'em together to bring me back. [...] Or maybe I'm still a dream. / Yuna: Wait! So you'll disappear? / Tidus: Cherish me, Yuna. And I'll cherish you. [...] / Yuna: Is that what the fayth told you? / Tidus: Nah, but I like it. [Yuna playfully pushes Tidus into a pond] Tidus: That's not cherishing! / Yuna: You didn't disappear. ^ Fox, Fennec (2002-10-23). "More Final Fantasy X-2 Details". GamePro. Archived from the original on 2011-06-07. Retrieved 2010-01-24. ^ Studio BentStuff, ed. (2001). Final Fantasy X Ultimania Ω (in Japanese). DigiCube/Square Enix. p. 191. ISBN 4-88787-021-3. ^ IGN Staff (2002-11-29). "Square and Enix Meet the Press". IGN. Retrieved 2007-03-10. ^ Spencer (2014-03-18). "Why Square Enix Made Final Fantasy X-2". Siliconera. Archived from the original on 2014-03-29. Retrieved 2014-03-29. ^ GameSpot Staff (2003). "Square Enix considering Kingdom Hearts sequel". GameSpot. Retrieved 2006-07-31. ^ a b c "Exclusive interview: Final Fantasy X-2". GamesRadar. 2004-03-09. Archived from the original on 2013-11-14. Retrieved 2016-08-04. ^ "Final Fantasy 10–2". Final Fantasy Insider. 2005. Archived from the original on 2009-03-19. Retrieved 2007-08-26. ^ "アルティメットヒッツ". Square Enix Japan. Retrieved 2007-08-26. ^ "Final Fantasy X Ultimania Guide". IGN. 2001-08-20. Retrieved 2013-03-05. ^ Ashcraft, Brian (2009-04-01). "Final Fantasy VII Ultimania Book Getting Revision". Kotaku. Archived from the original on 2011-03-03. Retrieved 2013-03-05. ^ "Ultimania シリーズ［13］" (in Japanese). Studio BentStuff. Archived from the original on 2012-03-07. Retrieved 2013-03-01. ^ "アルティマニアシリーズ　公式ページ | Square Enix Game Books Online" (in Japanese). Square Enix. Archived from the original on 2011-08-06. Retrieved 2014-03-12. ^ "Ultimania シリーズ［7］" (in Japanese). Studio BentStuff. Archived from the original on 2012-05-18. Retrieved 2013-03-01. ^ "Ultimania シリーズ［8］" (in Japanese). Studio BentStuff. Archived from the original on 2010-04-09. Retrieved 2013-03-01. ^ "Ultimania シリーズ［9］" (in Japanese). Studio BentStuff. Archived from the original on 2010-04-09. Retrieved 2013-03-01. ^ "Final Fantasy X-2 Tiny Bee Controller". Play-Asia. Retrieved 2016-08-04. ^ "Final Fantasy X-2 Vertical Stand". Play-Asia. Retrieved 2016-08-04. ^ "Final Fantasy X HD Remake Coming to Vita and PS3". IGN. News Corporation. September 13, 2011. Retrieved September 13, 2011. ^ Yip, Spencer (January 2, 2012). "Report: Final Fantasy X HD In "Early Development"". Siliconera. Retrieved January 3, 2012. ^ Brian Ashcraft (2013-02-18). "Check Out Final Fantasy X: HD Version for the PS Vita". Kotaku. Retrieved 2014-11-24. ^ "Final Fantasy X/X-2 HD Remaster website index". Archived from the original on 2015-05-11. ^ Ishaan (20 March 2013). "Yes, Final Fantasy X-2 Is Getting An HD Remaster, Too". Siliconera.com. Retrieved 2013-03-21. ^ "Final Fantasy X - X-2 HD Remaster". ^ a b c d 1UP Staff. "Final Fantasy X-2 Review". 1UP.com. Retrieved 2008-08-11. ^ "Final Fantasy X-2 Overview". Allgame. Archived from the original on 2014-12-10. Retrieved 2009-03-08. ^ "Final Fantasy X-2 Review". GamesRadar (Edge Magazine). Retrieved 2009-03-08. ^ a b c d e Bettenhausen, Shane. "Final Fantasy X-2 Review". 1UP.com. Retrieved 2008-08-11. ^ Fahey, Rob (2004-02-27). "Final Fantasy X-2 Review". Eurogamer. Retrieved 2009-03-08. ^ a b "Final Fantasy – Famitsu Scores". Famitsu Scores Archive. Archived from the original on 2008-04-16. Retrieved 2009-03-08. ^ MAJORMIKE (2006-07-11). "Review: Final Fantasy X-2". GamePro. Archived from the original on 2008-09-22. Retrieved 2006-07-31. ^ "Final Fantasy X-2 video game review for the PS2". Game Revolution. Archived from the original on 2008-07-24. Retrieved 2009-03-08. ^ "Final Fantasy X-2". Game Informer. December 2003. Archived from the original on May 16, 2008. Retrieved 2009-03-08. ^ "GameSpy: Final Fantasy X-2 Review". GameSpy. Retrieved 2009-03-08. ^ Knutson, Michael (2003-12-05). "Final Fantasy X-2 Review". GameZone. Retrieved 2009-03-08. ^ a b c d e f g Dunham, Jeremy (2003-11-07). "Final Fantasy X-2 Review". IGN. Retrieved 2006-07-31. ^ "Final Fantasy X-2 PS2 Review". 1UP.com. 2004. Retrieved 2007-08-26. ^ a b "Final Fantasy X-2 Reviews". Metacritic. Retrieved 2006-07-31. ^ "2003年ゲームソフト年間売上TOP300" [2003 Game Software Annual Sales Top 300]. Famitsū Gēmu Hakusho 2004 ファミ通ゲーム白書2004 [Famitsu Game Whitebook 2004] (in Japanese). Tokyo: Enterbrain. 2004. Archived from the original on 2014-12-28. ^ Calvert, Justin (2004). "Final Fantasy X-2 Sells a Million". GameSpot. Retrieved 2006-03-16. ^ "Japan Platinum Game Chart". The Magic Box. Archived from the original on 2007-12-13. Retrieved 2008-05-22. ^ "US Platinum Videogame Chart". The Magic Box. 2007-12-27. Archived from the original on 2007-04-21. Retrieved 2008-08-03. ^ "ELSPA Sales Awards: Silver". Entertainment and Leisure Software Publishers Association. Archived from the original on 2010-06-18. Retrieved 2009-02-03. ^ "2004年ゲームソフト年間売上TOP300" [2004 Game Software Annual Sales Top 300]. Famitsū Gēmu Hakusho 2005 ファミ通ゲーム白書2005 [Famitsu Game Whitebook 2005] (in Japanese). Tokyo: Enterbrain. 2005. ^ Campbell, Colin (2006). "Japan Votes on All Time Top 100". Next Generation. Archived from the original on 2009-07-30. Retrieved March 11, 2006. ^ "FINAL FANTASY X-2 wins for Outstanding Achievement in Character Performance at Seventh Annual AIAS awards". Square Enix North America. 2004. Retrieved 2006-03-12. ^ Alley, Jake (2003). "Final Fantasy X-2 – Review". RPGamer. Archived from the original on 2007-09-30. Retrieved 2006-07-31. ^ a b Przestrzelski, Steve (2004). "Final Fantasy X-2 – Review". RPGamer. Archived from the original on 2007-09-27. Retrieved 2006-07-31. ^ a b c d Raven, Red (2003). "Final Fantasy X-2 – Review". RPGamer. Archived from the original on 2012-10-18. Retrieved 2006-07-31. ^ Mattich, Ryan (2003). "Final Fantasy X-2 – Review". RPGFan. Retrieved 2006-07-31. ^ Oda (2004). "Final Fantasy X-2 – J-pop Charlie's Angels! We like!". Gameplay. Archived from the original on 2005-10-28. Retrieved 2006-04-12. ^ Aoibhell, Lassarina (2003). "Final Fantasy X-2 Review". The RPG Place. Retrieved 2006-04-12. Wikimedia Commons has media related to Final Fantasy X-2.